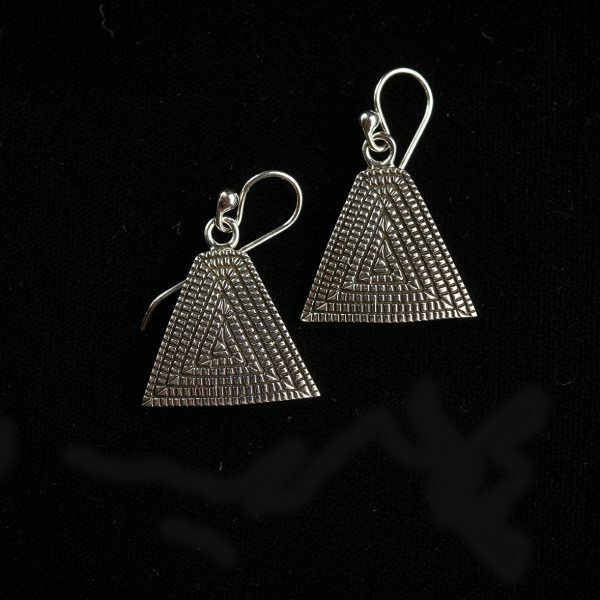 These triangular shaped earrings by Elgin Tom are so popular. Beautifully designed and easy to wear; they are contemporary and beautiful. 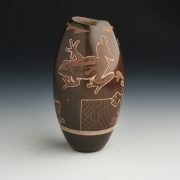 Elgin Tom was born in Gallup, NM into a family of silversmiths. He learned the art of silverwork by helping his father and grandfather from an early age. 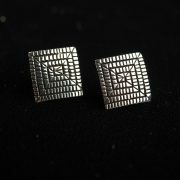 Influenced by his grandfather, Elgin hand-makes his own unique intricate stamps to create his jewelry. Elgin, a father of four, is maintaining his family heritage of silversmithing by teaching his children. Elgin’s original maize jewelry collection was inspired by his interest in the Northern Native Indian art of painting totem poles. The maize design shows a series of coils that represent the symbols of family and clan.